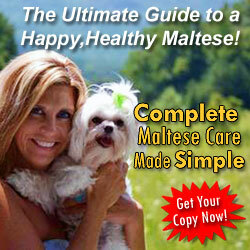 I made my Maltese adoption through an individual owner. I raise hand fed baby birds for sale to pet shops and individuals. One day a lady who had bought a bird from me called me and asked if I knew anyone who wanted a Maltese. Molly is one year old, and they had paid eleven hundred dollars for her at Petco. I asked how much and she said two hundred dollars with her crate and food etc included. I said bring her over. My husband fell in love with her at first sight. We have had her for six months now and she is a joy. Would love to find someone to breed her with. 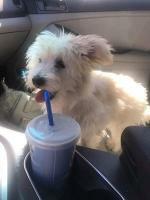 We would love to have a puppy Maltese too. 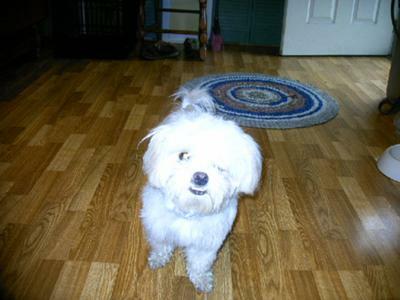 I live in Jacksonville, FL 32202 and I have a male 2yr old(Sept 1st he will be 3) Maltese named Bentley. I recused him a yr. ago. He is very handsome, all shots, no heartworm, and has not been fixed. Let's have little Maltese.904-536-3200 Please leave specific message. Molly Holly Wood is expecting babies Jan. 6 2010. Molly is bred with a Coton de Tulear male,his name is Mishka.He is adorable too.We are very excited about the upcoming event. I was sitting at home one hot evening around the first week of Sept and my friend Leeann came in hollering she had me a gift. Lo-and behold it was Molly, a little Maltese puppy, just as adorable as can be. I fell instantly in love with little Molly and she is be cared for and much loved in this household. Two Paws UP! for MoLLy! Hi MoLLy! We are 2 Maltese dogs LuLu and LoLLy! Your name sounds like ours. Do you think we are related? We love your pikture and think you are adorable! You look super fluffy! Also, We wanted to give you Two Paws UP! for your great post! Also, have you heard about our health care reform? If not, you should check it out at http://www.luluandlolly.com! We need more dogs to sign out pet-tition! Your Maltese paLs, LuLu and LoLLy! A friend of mine told me of someone that had a full blooded Maltese that they could not keep and they wanted a good home for him. Needless to say my husband and I drove about 100 miles for this Maltese adoption and it was well worth the trip. Chewy is 5 months old and full of energy and although I've only had him a couple of days, I wouldn't give him up for the world. PLEASE post pics of your pooch - we read the comments and can't imagine (most of us) what you're speaking about - so - pic please! My Maltese adoption happened by accident. I found my Maltese Pekingese mix thru my Aunty. 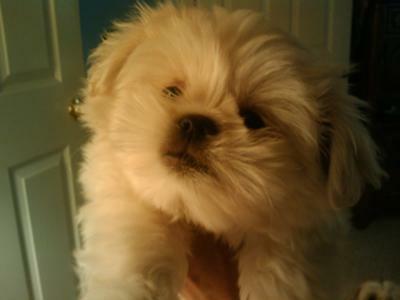 She raises both breeds full breed Pekingese and Maltese. By accident she got Maltinese and I was happy to get one of her pups... I had never seen the pup before I got her but my Aunt told me she looks like a khuala bear I new I had to have her... and I got her. She does look like a Khuala Bear! How adorable is that. I always say there is no accidents, God sent those puppies because they are special and he knows there is someone waiting for them. A co-worker of mine had told me that her real estate agent has a neighbor who is looking for someone to adopt a Maltese dog because she was going to live in a nursing home and could not take the dog with her. My co-worker said that she had thought of me and my 12 year old daughter and thought that the dog would be perfect for her. She remembered me telling her that my daughter would to have a small dog to take care of since our last dog had died and every time she see other kids in the neighborhood walking their small dog, it reminded her of our dog that she missed some much. I was able to pick up the dog. He is a purebred long hair Maltese. The owner paid quite a penny for this dog and wanted to make sure that he goes to a very special and loving responsible family. To say the least, my family is very blessed and happy to adopt him. This is a very early and special Christmas present for my daughter and she is grateful for getting this dog. Ga. We have 10 acres and my husband is a Veterinarian. Yeah for finding the doggy a home! Hi, we are 2 Maltese dogs LuLu and LoLLy! We are happy you were able to give a Maltese dogs home! Please post piktures! Your Maltese paLs, LuLu and LoLLy! 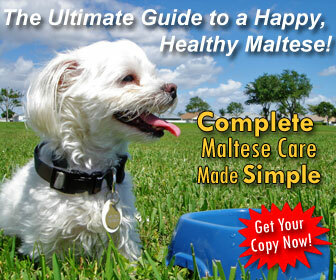 If you have a Maltese for adoption please call me. I do want one of these lovely dogs. I am so envious of all these beautiful pictures and want to show off my beautiful puppy for Christmas. Tomorrow is my Birthday. Dec 3. It would be great to have on just in time for my birthday gift. Please contact me if you find one available. (409) 896-2494. Pray for me! How lucky for the Maltese that you're able to take him in ... and how special that you and your daughter will have a special new family member to love. I brought my Maltese baby girl home a week before Christmas back in 2006, so I can relate! She was my best Christmas gift EVER!!!! 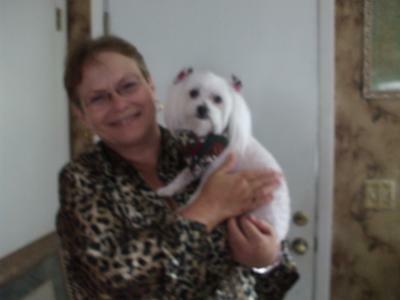 I got my Maltese rescue dog Precious from a friend who rec,d (3) puppies from a lady, whose daughter was a drug addict. She could not feed or look after the older dogs or the pups. Precious & her Brothers were under feed and they look for food all the time now. Her Mother was worried for the pups and asked her friend to find homes for the pups. I was very lucky to be one of her friends, to receive one. She knew I was looking for a small dog. The older dogs were taken in by the Animal Services. The woman passed on due to drugs. So all dogs & puppies are safe. I adopted my Maltese Ramses, through a coworker. She had purchased him through another coworker but found herself in a difficult predicament after having him for only 2 weeks. My coworker's mom was coming to stay and live with her for a couple of months and was bringing 2 dogs with her. My friend/coworker who had another dog felt it too difficult to have so many dogs living in her small apartment. She called and asked if I would take her Maltese puppy. I jumped at the opportunity and have had a happier life because of him ever since. hi! im from the philippines..
how can i adopt one from you? We just lost our baby after 13 wonderful years. Our story is that we had been searching for months and months and months... close to 10 months when we finally found a Maltese from a newspaper. Only $60 - neutered male, house-trained... the lady said that someone else had called interested, but we got there first. He was the perfect dog for us. He loved us as unconditionally and we loved him. We were able to take him most everywhere with us with no challenges and he loved to go! He didn't shed, he let himself in and out of his doggie-door, he didn't bark just for the sake of barking, and he even slept in our bed. He will be so very missed - a member of our family is gone. It's hard when it is so recent and hurts so desperately - but we have to think to all the great years rather than the last month. 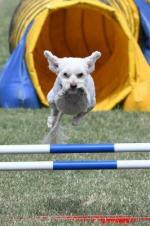 We would definitely recommend a Maltese, a Bichon or like we were blessed to have the mutt mix of the two. He was the best dog we've ever had. As I am unable to have anymore children and our son is all grown up I wanted something to love (apart from my husband) so I asked if we could get a small dog. He asked what sort of dog would I like. Not sure but I will know when I see it. One day when he went to the supermarket he phoned me and told me there was a flyer on the wall advertising dogs for sale and that I should come down and take a look. "That's it I said, that's the dog I want" I phoned the seller arranged a time to view the puppies and headed out. When I arrived at the farm Max was the one I fell in love straight away. He had 7 brothers and sisters. He had been pushed out of their bed and was shaking on the cold concrete floor. He looked at me with those big beautiful eyes and I wrapped him up in my arms and didn't want to let him go. To this day he travels everywhere with my husband and I, he sleeps in our bed sometimes on daddy's pillow right next to mum. He cries when I go to work, I have to tell him when I am leaving the house and that I will just be a minute, then on my return I am greeted with a bark and a growl then a big cuddle and kiss. Who could ask for anything more. I love my Maltese Shih Tzu. I have had him almost 2 years now.